Dr. Shiva Kumar is an economist and has taught courses in economics, public policy, and cost-benefit analysis at Harvard. He is a recipient of the MacArthur Fellowship, Mason Fellowship, and the Certificate of Excellence in Teaching from Harvard University. He has been widely published and was adviser for the Global Human Development Report 2000 and is currently Adviser with UNICEF, New Delhi. Justice Mukul Mudgal retired as Chief Justice of Punjab and Haryana in Feb 2011. Prior to that he was the senior most judge in the High Court. He has conducted various cases in civil, constitutional and labour law as well as public interest litigations. He appeared as amicus curiae in several cases in the Supreme Court including cases of prison reforms, environment law cases such as the CNG case and as counsel in gender justice cases. Prof. Jain, presently Trustee-Director of Sanskriti Foundation and Founder Trustee and Director of CIVIC: Centre for Indian Visual Culture was Director of Crafts Museum, New Delhi; Founder Dean and Professor of School of Arts and Aesthetics, Jawaharlal Nehru University, and Member Secretary of Indira Gandhi National Centre for the Arts. Prof. Jain has published extensively on India’s Folk Arts and Popular Culture. Former visiting Professor at Harvard University, Prof. Jain is a Prince Claus Awardee. A distinguished Hindi poet, critic, editor, and cultural administrator, Ashok Vajpeyi, has been a senior civil servant in culture and the arts. He established Bharat Bhavan a multi-arts centre in Bhopal and ran it for a decade and also the First Vice-Chancellor of Mahatma Gandhi International Hindi University, Government of India. He has won two prestigious national awards for poetry, namely the SahityaAkademi Award, Dayavati Modi Kavi Shekhar Samman, Kabir Samman and Bharat Bharti Puraskar. He has been decorated with the highest civil awards by the governments of France and Poland. His poems have been translated into many Indian and foreign languages. He is the youngest Additional Solicitor General India, Vice President of the Supreme Court Bar Association and Senior Advocate, Supreme Court of India. He handles a wide variety of constitutional, commercial and corporate litigation and is a member of the apex Media Committee of the Indian National Congress. 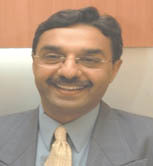 Ashok Jain works as a Managing Director for OPJK Paper Pvt. Ltd. Apart from being an active Trustee of Sanskriti Foundation, Ashok Jain is also a Managing Trustee of the Shree Vidya Trust. An eminent art historian, Dr. Punja, till recently CEO of the National Culture Fund , also serves on a number of Trusts other than Sanskriti Foundation. 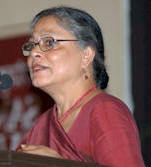 She has been widely published and has lectured at various institutions in India and abroad. Ajay Vohra is Managing Partner of Vaish Associates and is a leading specialist in the area of domestic and international tax. He is well-knownas an arguing counsel before Tax Tribunals, High Courts and the Supreme Court and has made major contributions to tax jurisprudence in the country. He has been frequently listed in the publication Asialaw Leading Lawyers that identifies the region’s leading practitioners across key practice areas. He is director and board member of several companies and professional associations. Ratish Nanda has an MA in Conservation Studies from the University of York, UK and has carried out several key heritage conservation projects, notably the Garden Restoration of Humayun’s Tomb on behalf of the Aga Khan Trust for Culture. He has also directed projects for INTACH (Delhi Chapter), including the conservation of St James Church, of the ruins adjacent to Sultan Garhi and of unprotected monuments in the Mehrauli Archaeological Park and was responsible for the inventory published as ‘Delhi, the Built Heritage’.